Yesterday was a no make-up, get stuff done around the house kind of day, and today looks to be more of the same. I dove into the spare closet where all my crafty stuff had been tossed, just to get it out of the way, during the move. Spent all day burying Little’s room under a pile of stuff, then finding it again so she could go to bed. 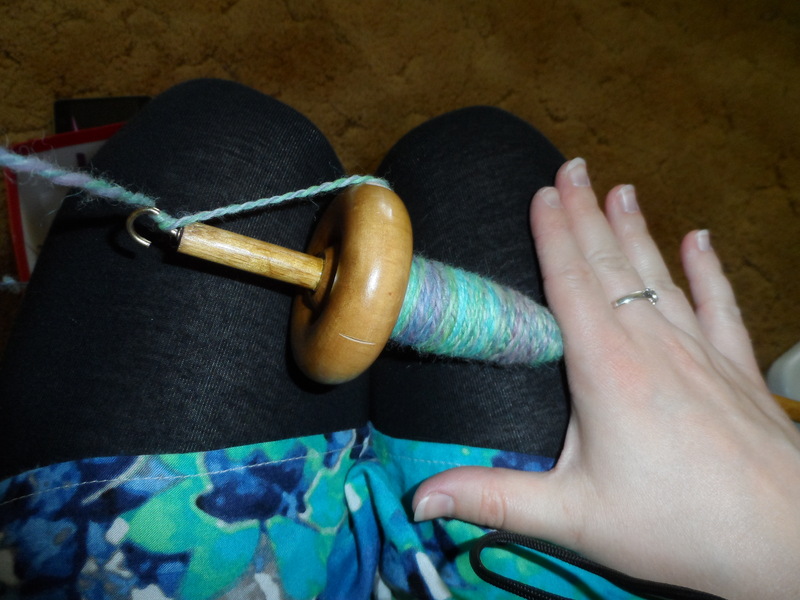 To reward myself for a hard days work, I broke out my spinning once again to try to finish plying all I had so far. 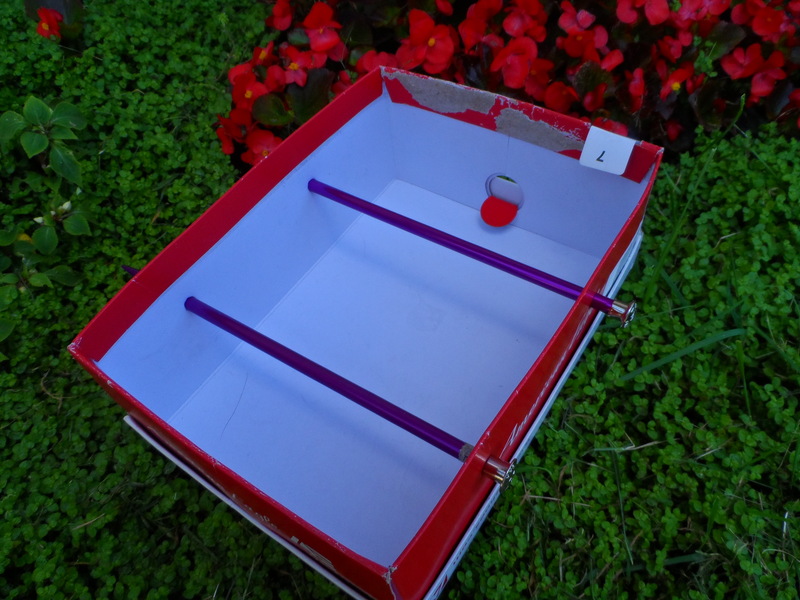 Grab yourself an old shoe box you don’t mind poking holes into, and a good, sturdy pair of needles you don’t mind poking through the box. 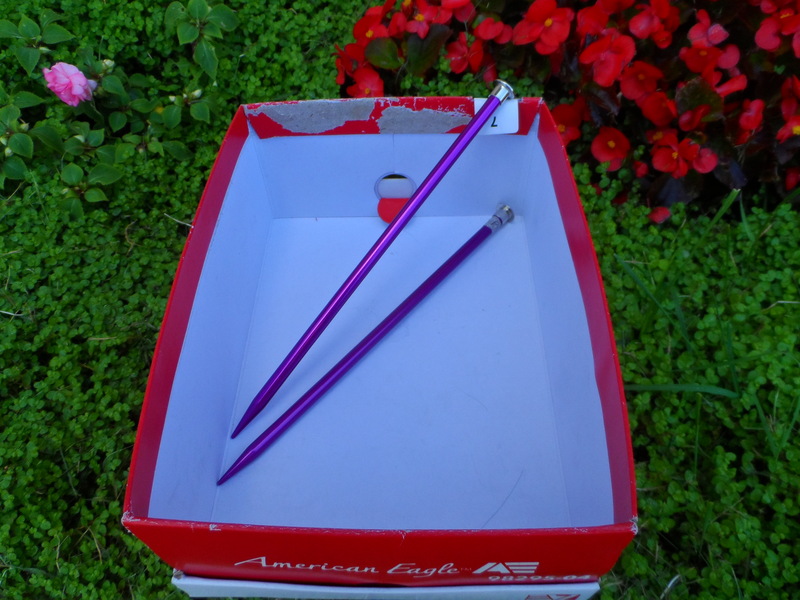 Stick your needles through the shoebox as shown. This is what I call the “poor man’s lazy Kate.” Make sure you leave enough space on all sides of the needles for your “spool” to turn smoothly. And by “spool” I mean those TP tubes with your singles wrapped on them (or is that just me?). 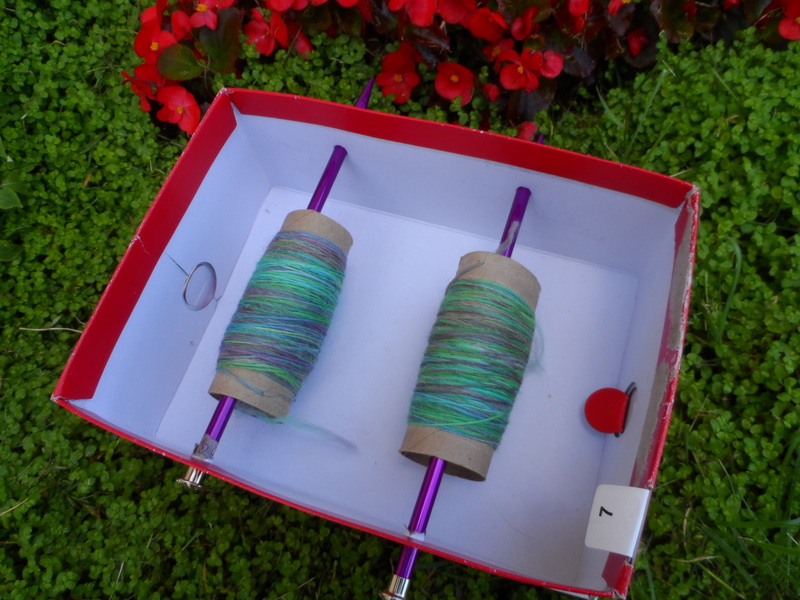 Make sure that your singles are coming off the spools on the same side. OPPOSITE of the way it was spun! Slip the end of both singles through your starter string (see previous spinning post for a how to) and start spinning the OPPOSITE direction that you spun your singles in. 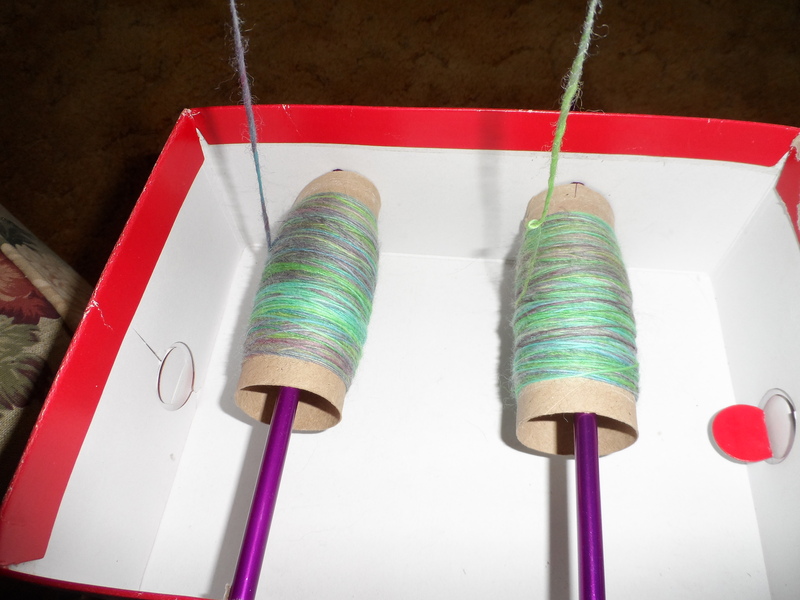 In my spinning tutorial I spun my singles by rolling the spindle UP my leg, so, when I’m plying, I roll the spindle DOWN my leg. Easy peasy! 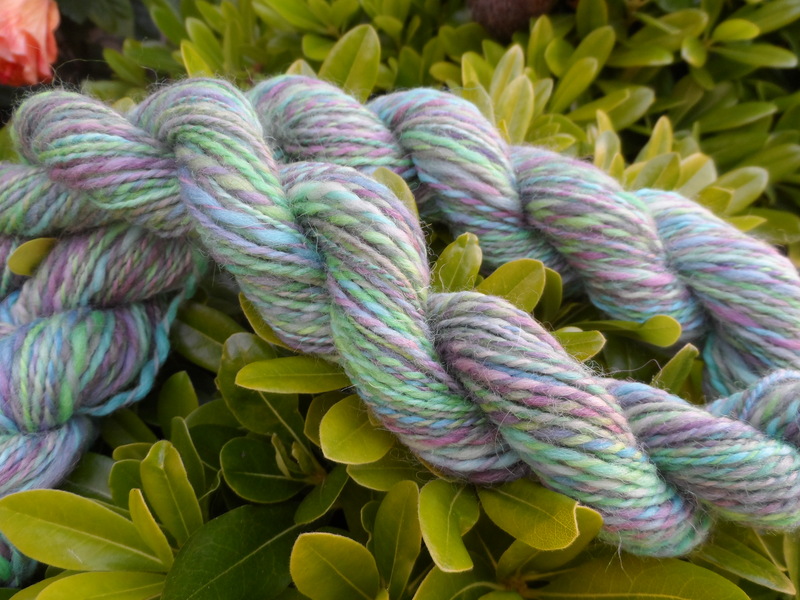 Even if you don’t end up with enough yarn for a large project, make something out of it! Even if it’s just a thin headband. You’ll love it all the more because it was made totally by you! Have fun! Shop news! I have the original colorways up and running again, and, new lower shipping cost! Woot! !